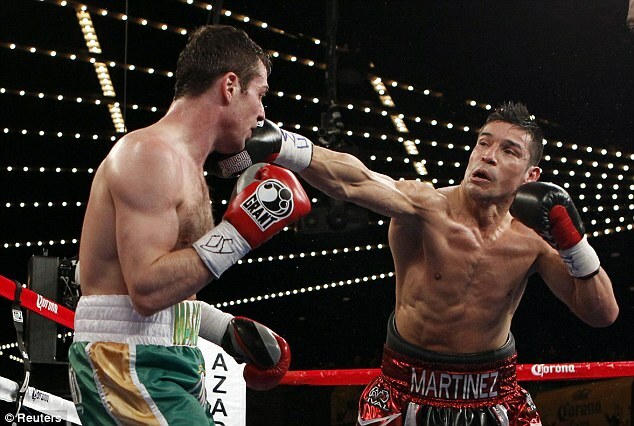 Sergio Martinez beat Matthew Macklin by a technical knockout at Madison Square Garden in New York to remain the world middleweight champion. 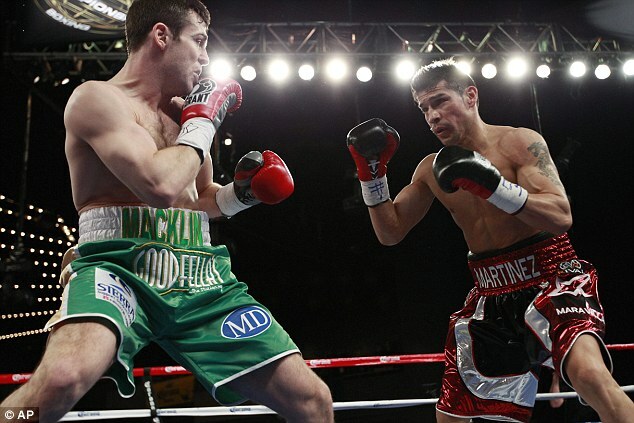 But Macklin, 29, took great credit from the fight, providing Martinez, who is the linear world champion at the weight, with the toughest test of his reign so far. The Birmingham fighter made life continually uncomfortable for the Argentinian, trading heavy blows what for the most part was an even contest, but he was knocked down twice in the 11th, causing his camp to withdraw their man. Macklin, who, as the son of Irish parents had great support on St Patrick's Day, felt he was in control for much of the fight. He said on Sky Sports 1: 'I thought I had the most momentum, I thought I was in the driver's seat. Some of the rounds were close but I thought I was dictating. 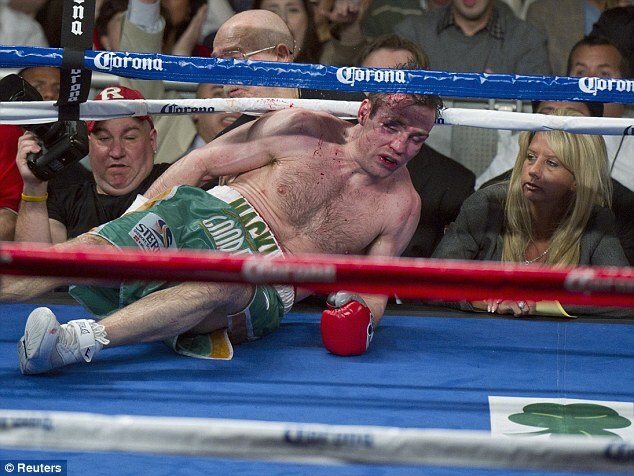 Macklin explained he took a more considered approach to the fight than usual. 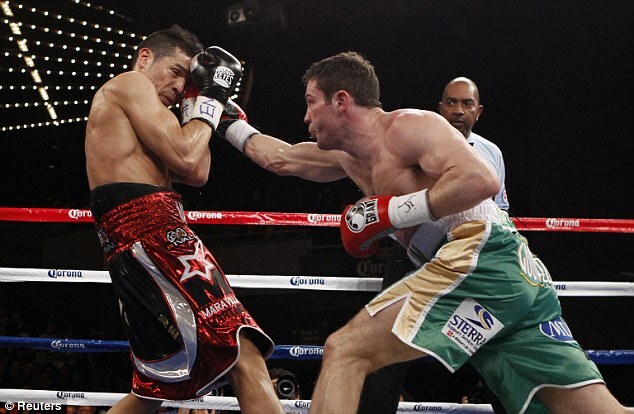 The tactic was a good one and some observers had him level or even ahead once the glove of Martinez, the heavy favourite with bookmakers, touched the canvas in the seventh round. Thereafter though it was all about the 37-year-old, who upped his game and dominated from then. Asked what changed in the later rounds, Macklin said: 'I switched off a little bit upstairs, stopped moving my head a little bit. That rhythm saw Martinez send him to the canvas in the 11th. Macklin got up, but soon found himself sprawling again. The count reached eight as the bell went and, though Macklin wanted to continue, his camp asked the referee to call a halt.